It’s widely said that you learn something new every day. When I was younger, I had hopes that as I became an Actual Grown-Up ™, I might edge myself every closer to Knowing All The Things, thus making it less and less likely that acquire a new bit of information on a daily basis. Unfortunately, as a man nearing 40 years old, I can safely confirm that this is definitely not the case. In fact, not only am I still learning new things Every. Single. Day, most days it’s more than one thing. Life doesn’t happen while you’re waiting. As I mentioned I would in my previous post, I drove to Lexington on Friday night to hear the author of “A Memory of Light” discuss the book and have my copy autographed. As it turns out, I’m pretty sure everyone else in the Commonwealth of Kentucky decided to attend as well. Seriously, I think they might have worm-holed in some people from the Pegasus galaxy, too, because, dang. In the past, such a display of immense humanity wouldn’t have given me any pause. I’d have happily waited hours to nervously spout some random, likely incoherent nonsense – possibly in muttered incomprehensibly in a dead language – at an author while they tried to sign my book (quickly) without making eye contact as an assistant dialed ‘911’ to report an ‘incident’ with what could only be an escaped mental patient. But Friday, seeing the massive throng of people ahead of me in line (and realizing that there really wasn’t anything I wanted to say to the author in question that could be answered in the brief moment or two I’d have at the table), I swapped my book for a pre-autographed copy and headed home. My evening was the better for it. I spent it reading instead of waiting, and at this stage in my life, any waiting time I can cut out of my days on Earth is a very fine thing indeed. A good book can still get me all teary-eyed and lumpy-throated. I finished “A Memory of Light” over the weekend, and yes, parts of it made me as emotional as a pregnant woman watching A Baby Story while trying to pick out a paint color for the nursery. And before you get all huffy that I’m talking bad about the mother of (your/my/Rico Suave’s) child, with four kids, I believe I’ve survived enough pregnancies to talk about this without fear of recrimination. Besides which, I don’t mean that to be a disparaging comment against you pregnant ladies. The internal growin’ and birthin’ of babies requires a mess of hormones powerful enough to knock a horse over. If you need to well up a bit because of a TLC show, I completely understand. As long as that show isn’t Honey Boo-Boo. The End can bring both satisfaction and sadness. There’s a peculiar sense of sadness and loss when you’ve been reading a massive series of novels for 20+ years and it all comes to an end after 14 books. It’s the same kind of empty feeling I get the first Sunday after the Super Bowl each year. I walk outside and blink at the strange, unfamiliar orange ball of hotness in the sky and then just stand there, confused, uncertain how to get on with my life. Of course, that’s usually when the Puddinette hands me the to-do list she’s been compiling since I went on around-the-house-hiatus in August. Let’s hope she doesn’t have a correspond list that’s she’s worked on since I started reading the Wheel of Time in 1991. When it gets close at the end, a youth basketball game gets every bit as serious as your annual NCAA Final Four games. And they take every bit as long, too. The Puddinpop had a game go into the much-feared overtime on Saturday, and that 3 minutes of extra game seemed to last roughly about the same amount of time as the entire Mesozoic era. Every double-dribble, slight motion without dribbling, and gentle graze of two competing players resulting in a whistle and stoppage of play. And that’s fine, really. It’s just seemed a little strange considering that in the first quarter, the point guard could have tucked the ball away like a football and run straight to half-court without a Traveling call. If you’ve never brushed your teeth with hydrocortisone, I really don’t recommend it. And yes, that means what you think it means. 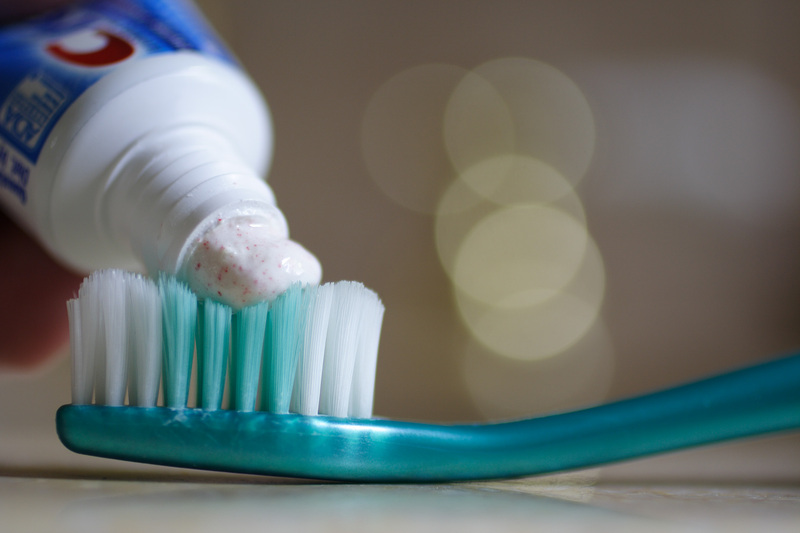 There I was, minding my own business, doing my usual Sunday morning routine – you know to make myself all purdy – when I reached into the drawer where we keep the toothpaste, grabbed the first tube that looked to be the right shape and size, squeezed a dollop of white cream on my brush, and started scrubbing those pearly whites. At that point, I can only assume I made a face combining shock, disgust, and fear that would have appeared to onlookers as if someone was given me an involuntary butterscotch pudding enema. I immediately leaned over and violently spat out everything in my mouth with the force of a Civil War-era cannon. The post-hydrocortisone oral cleansing that followed consisted of 17 gallons of water, and the consumption of every minty concoction I could put my hands on. I briefly contemplated washing my mouth out with something strong, soup, Windex, or, you know, sulfuric acid, but the Puddinette – who found the whole thing wildly amusing – suggested that was perhaps overkill. I’m still not convinced. At any rate, if you’ve ever wondered what hydrocortisone tastes like, the answer is: not like chicken. It tastes exactly like smells…just, you know, slimier. 1. Books that make your emotions go crazy and mourn at the end are nothing but pure amazing delight. Ha! It seems like every family has at least one story of someone brushing their teeth with Desitin. My cousin did it once while staying at our house when I was young, and my wife said someone in her family did the same thing. It’s epidemic!